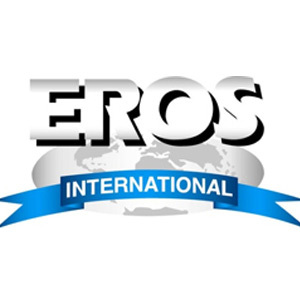 Stellar operational performance: Eros International Media Ltd (EIML) reported a strong performance for Q3FY2011, with the consolidated revenues growing by 86.8% year on year (YoY) to Rs279.8 crore driven by the strong box office collection from Golmaal 3 (the fourth all-time highest box office grosser) and continued traction in the satellite right syndication business. Revenues surge: EIML reported an 86.8% jump in its revenues to Rs279.8 crore during the quarter. Of the revenues about 40% came from the domestic theatrical collections; 25% from the sale of satellite rights; about 25-30% from the sale of overseas rights; and the balance from the sale of music rights and the new media (direct-to-home [DTH], subscription video on demand etc). Valuation: We remain positive on EIML in view of the increasing traction in its TV syndication and new media revenues, and the strong market positioning in the movie box-office revenues. Going forward, we expect the strong momentum to continue with an impressive slate of movie releases in FY2012. On the other hand, the incremental revenue contribution from the high-margin business segment would further strengthen the company’s profitability. At the current market price of Rs158, the stock is trading at 10x and 8x FY2012 and FY2013 earnings estimates. We maintain our Buy recommendation on EIML with a price target of Rs247.